…After thousands of years, all were destroyed except the Lamanites, and they are the principle ancestors of the American Indians. …After thousands of years, all were destroyed except the Lamanites, and they are among the ancestors of the American Indians. Everyone has their own theory about where the Native American people came from. There are all kinds of methods from DNA to archeology that we use to try and find out how things may have happened. There is a lot of talk about DNA. Some say that when we analyze the DNA we find strong evidence that most Native Americans are related to Asian peoples that may have arrived on the American continent via a land bridge, by boat or some other means unknown to us today. On another part of the spectrum you have individuals like Rod Meldrum who claim that they have found genetic markers among the Hopewell civilizations in North America that could provide evidence of a Middle East connection. While those guys are playing around with DNA and theories, I’m going to play around with some theories of my own and suggest that maybe the answers are right in front of us and can be found within the text of the scriptures themselves. According to the book of Genesis, after the flood humanity lived together in one place and all spoke the same language. Assuming that the Genesis account is accurate, this would mean that all the genetics of the earth were gathered together in one geographic location. This means that everyone on the earth is descended from Noah’s sons: Shem, Ham and Japeth. At some point, you had individuals who went east an inhabited all of Asia and other parts of the world including the Americas. The odds of proving this via DNA testing or other application of modern knowledge is probably implausible. I bring it up, however, only to make a point that there are other alternative ways that these events could have unfolded. But Weren’t All the Jaredites Destroyed? The Nephite culture survived on the American continent for approximately 975 years (First landing in 590 BC to final destruction in 385 BC). Throughout a history of almost 1000 years did everyone stay in one spot and in one group only to all perish at once a millennia later? Sounds ridiculous when you think about it that way. Take Hagoth, for example, who built ships and carried people into the northern lands until one point where he was never heard from again. The Book of Mormon is only an abridgment so we don’t get the whole story, but with all the dissensions and wars we read about, I can envision tribes and families periodically heading out into the wilderness to escape and never returning. With this thought in mind, consider that the Jaredites lived on the American continent from 1600 – 1900 years , about twice as long as the Nephites! I suggest that this gave the initial population of Jaredites an even greater likelihood of expanding deeper and wider across the ancient American landscape than the Nephites. If splinter civilizations off of the original Jaredite civilization had spread over North, Central and South America over the course of the 2000 or so years they lived upon the American continent, this might offer an explanation of who the ancestors of the vast majority if not all of the Native American cultures were – Jaredites. I suggest taking a look at their research, there are many great points made that support the idea that others were present when Lehi’s party arrived. Finding a culture that believed in a “feathered serpent” that may or may not be a corrupted reference to Christ may or may not mean that that civilization used to be Nephite or Lamanite. 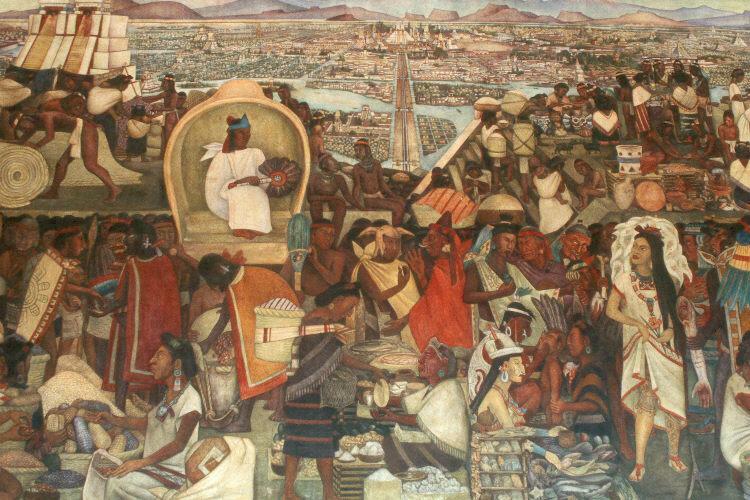 I think it is quite possible that many of the great civilizations of Central and South America were not Nephites or Lamanites at all, but broken-off Jaredite remnants that never had contact with Lehi’s posterity but had preserved within their cultures the doctrinal debris of the earlier Jaredite religion. So Jacob used the word “Lamanite” in a similar way that the Jews referred to all non-Hebrew nations as “Gentiles”. The usage of the term “Lamanite” this way may have included those Jaredite remnants as well. If you have Native American blood, you could be related to at least any of the original non-Israelite Jaredite clans, Lehi (Manasseh), Zoram (? ), Ishmael (Ephraim), Mulek (Judah) his fellow refugees (?) OR anyone else not mentioned in the Book of Mormon that the Lord could have led to the American continent. The presence of Jaredite remnants not only provides a potential answer for the DNA connection of the Native Americans to the Asian races, it also provides an interesting framework for seeking to understand some of the ancient civilizations we uncover from North to South America. 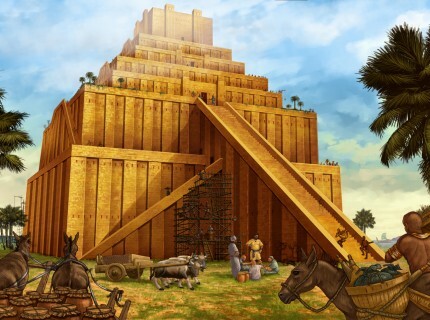 I base this calculation on the time of the tower of Babel, 2200 BC as the oldest date to a minimum range between the arrival of Mulek’s party which would have arrived in the Americas probably no sooner than 590 BC and the discovery of Coriantumr by the people of Zarahemla that could have been no later than 279 BC when Mosiah translated the stone, but was probably a lot earlier. The Jaredites went extinct between 590 BC and 279 BC.